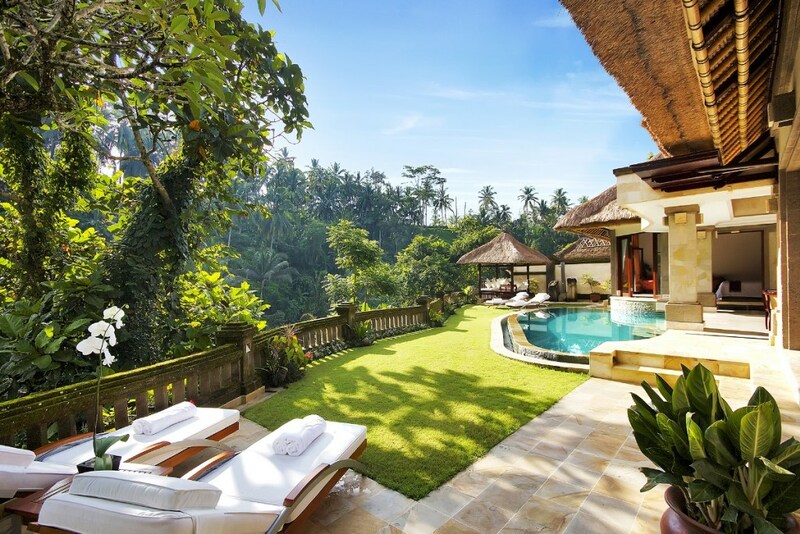 North of the island’s capital city, Ubud is an oasis hidden behind tantalising dense greenery. 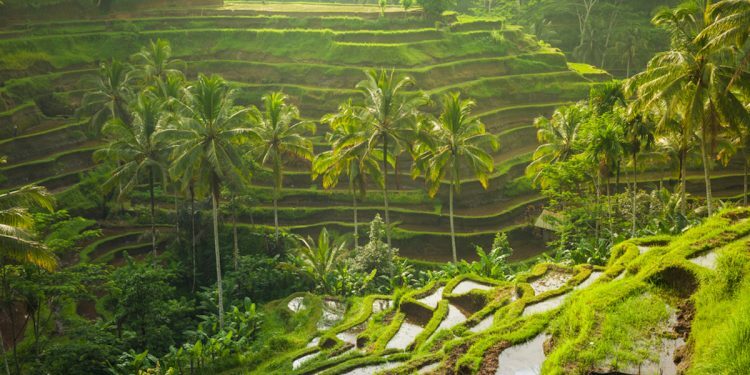 Over an hour from Denpasar is the iconic Ubud. It is known widely for its meticulous rice terraces, countless sanctuaries, luxury accommodation and tranquil temples that are all encased in a wall of bewitching rainforest. 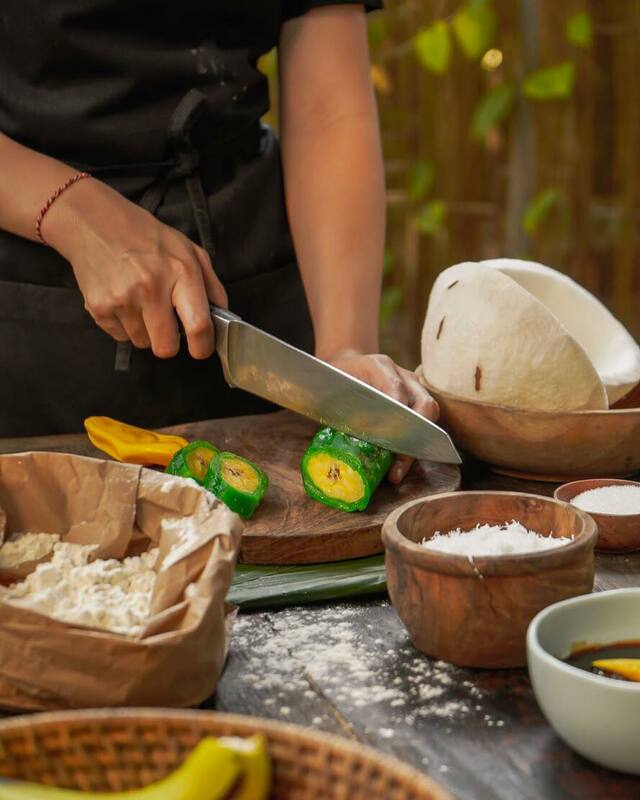 Located in the city’s busiest dining precincts and less than a kilometer from Ubud’s heart is Locavore. 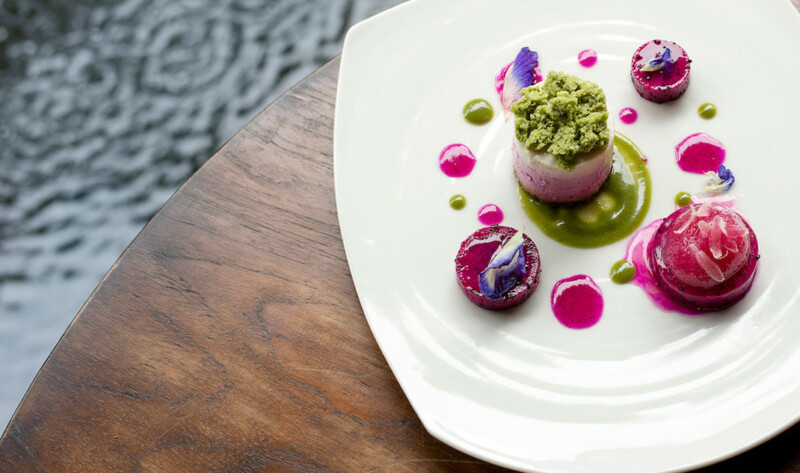 Described as an Indonesian restaurant with an intriguing modern European twist, Locavore is known for their unusual concoctions served in a degustation-like setting. 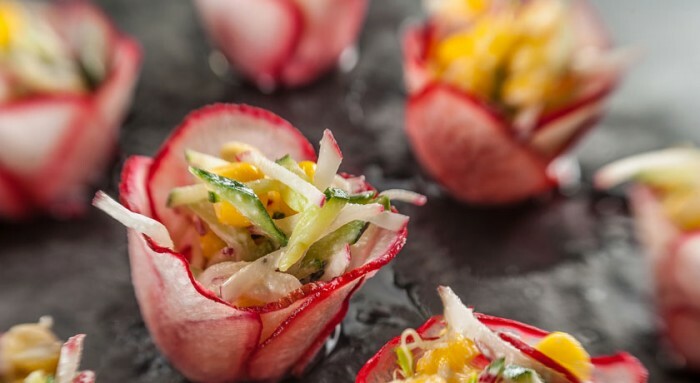 Choosing between the Herbivore or Locavore menu will be the hardest decision – especially when each dish is paired with a beverage heightening every smell, taste and texture. Sitting along Ayung River, the Sakti Dining Room at Fivelements is an award-winning, fine-dining, eco-luxurious restaurant. 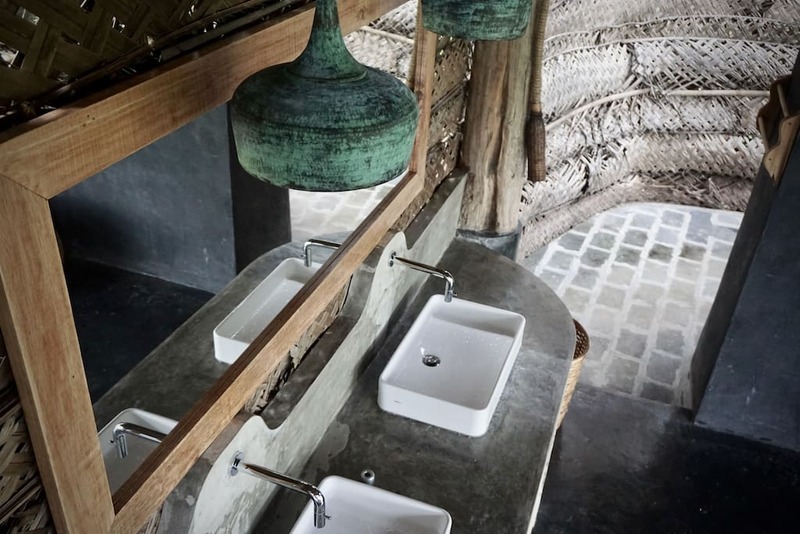 Combining two worlds in one, guests will be tantalised by the bamboo-structured hut encasing some of the freshest and creative raw vegan food. 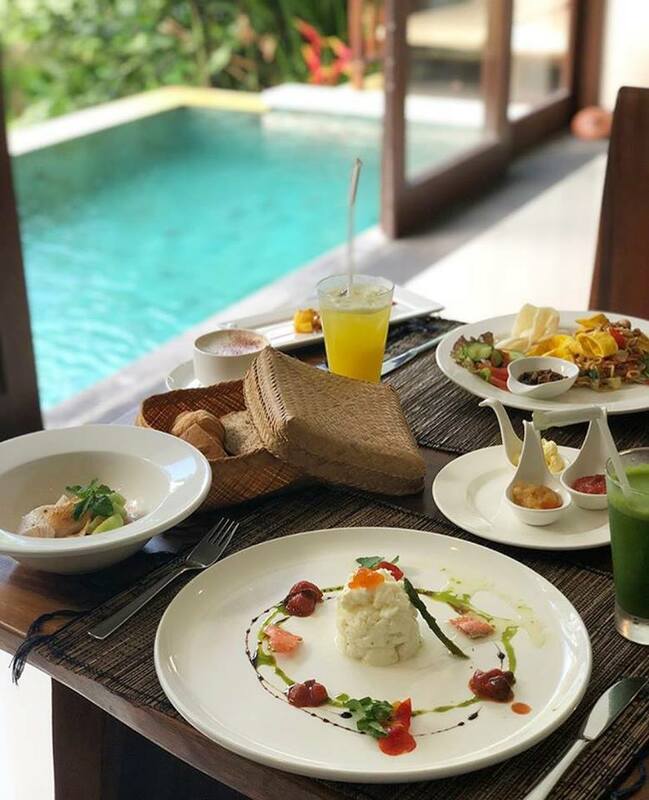 The Sakti Dining Room serves a gastronomical journey aimed to nurture the body, mind and soul through each bite. 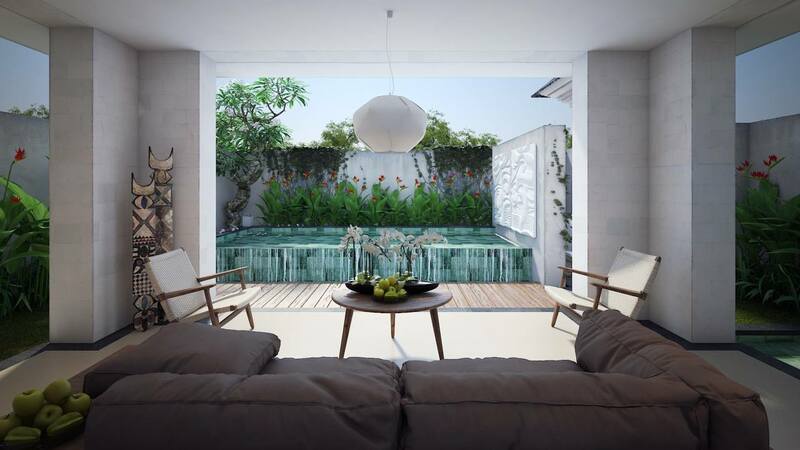 Housing not only the finest creations in Ubud made with love, passion and intricate details; Fivelements also houses an eco-wellness resort as well as beauty spa and healing experiences. 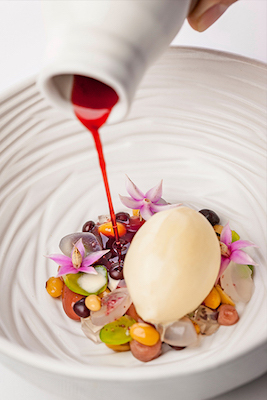 Also known as the finest modern Indonesian gastronomic restaurant, Blanco par Mandif features an open kitchen that delicately creates an artwork served on your plate. 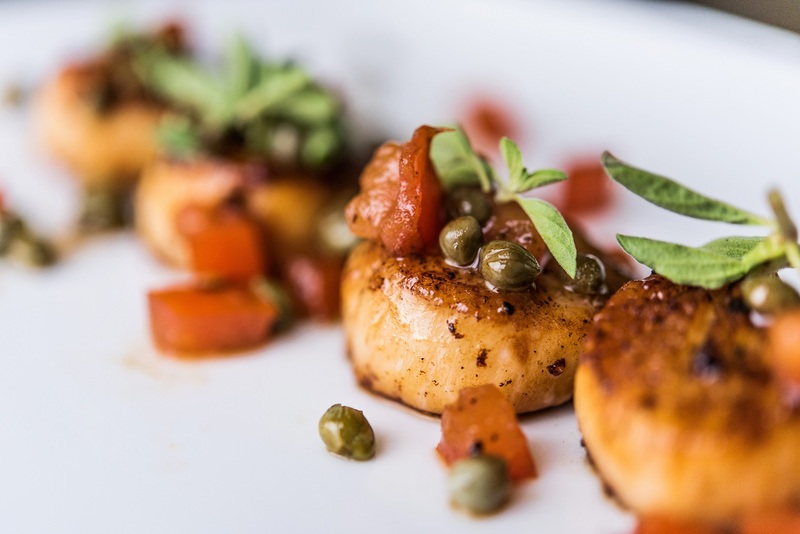 Upon your visit, you will have an option to choose from their set, seasonal menu showcasing seven to nine courses with an optional beverage pairing. 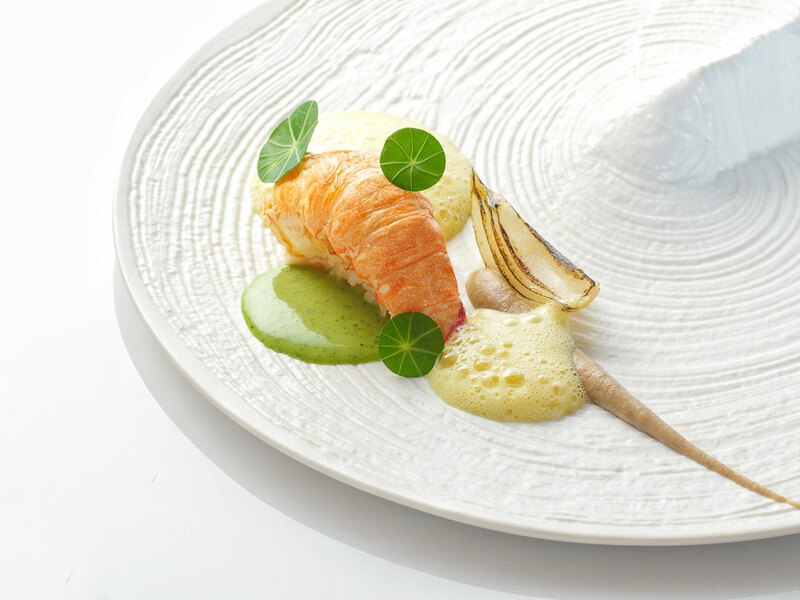 You’ll be amazed by the Octopus served with red bean emulsion, parsley cream and confit potato as well as their speciality: 21-day aged Peking Duck served with a traditional Balinese galangal broth, duck roulade and sambal matah. “Our craftsmanship is exceptional, culturally made by passion and integrity to long the quality of every aspect. 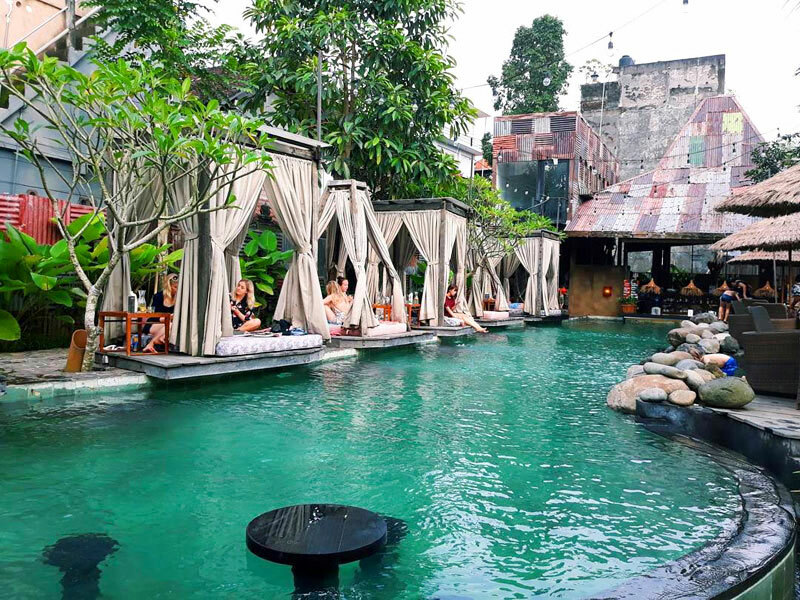 Less than a 10-minute walk away from the Sacred Monkey Forest Sanctuary, Folk Pool & Gardens is one of Ubud’s go-to day clubs. 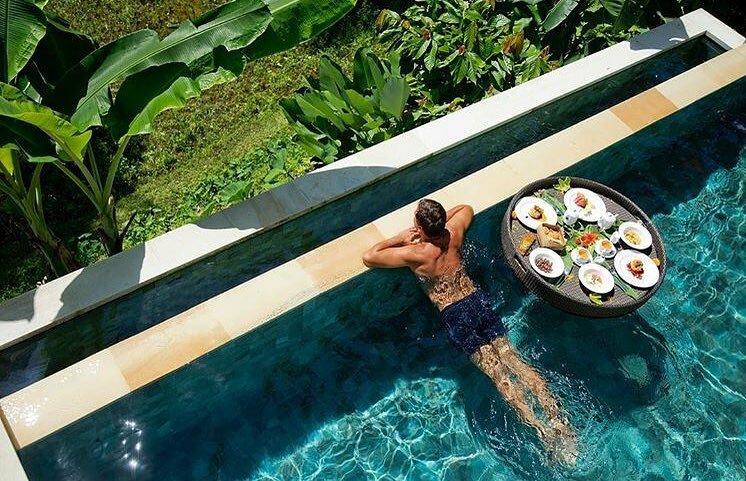 Featuring a rustic common area and bamboo day-bed huts surrounding the pool; guests will be amazed at the decadent meals and refreshing cocktails served from breakfast through to dinner. Upon your visit to Folk Pool & Gardens definitely get your hands on the Sweet Soya & Miso Lamb Chops or the Fresh Lumpia Rolls paired with either the Grilled Pineapple Martini or the renowned No Mas Gin Rosemary cocktail. 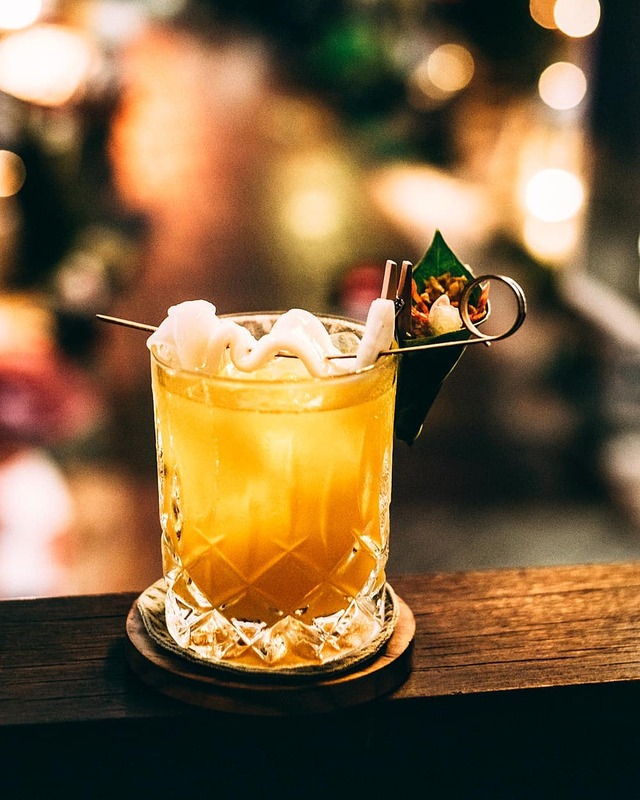 The most unusual place you’d expect to find some of the best shaken cocktails in Ubud – a restaurant dedicated purely to dessert. 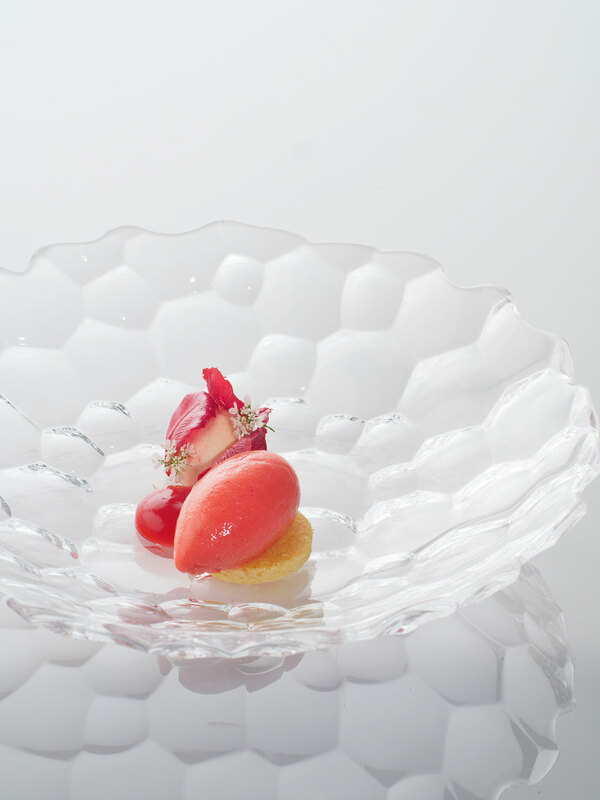 Room 4 Dessert in Ubud was created by pastry expert, Chef Will Goldfarb. 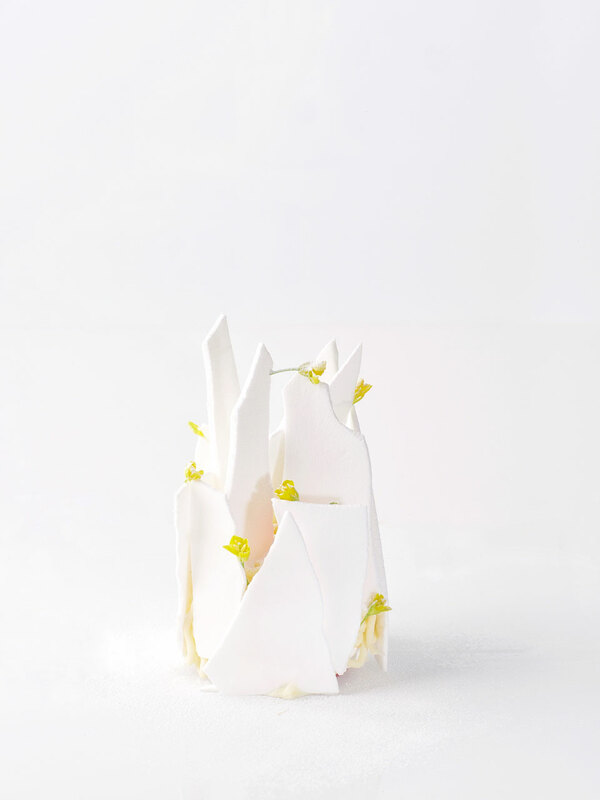 With previous experience in Paris, Spain, Manhattan and now Ubud; the Chef’s Table star created a seasonal dessert degustation that cues up a hefty line. Their Cocktail Tasting menu is the attraction for guests who enjoy everything from sweet, to sour and even bitter flavoured cocktails. Expect a Dirty Pirate Cosmopolitan, wine infused with marigold leaf and even a Koming’s Boulevardier (the child of a Manhattan or Negroni). 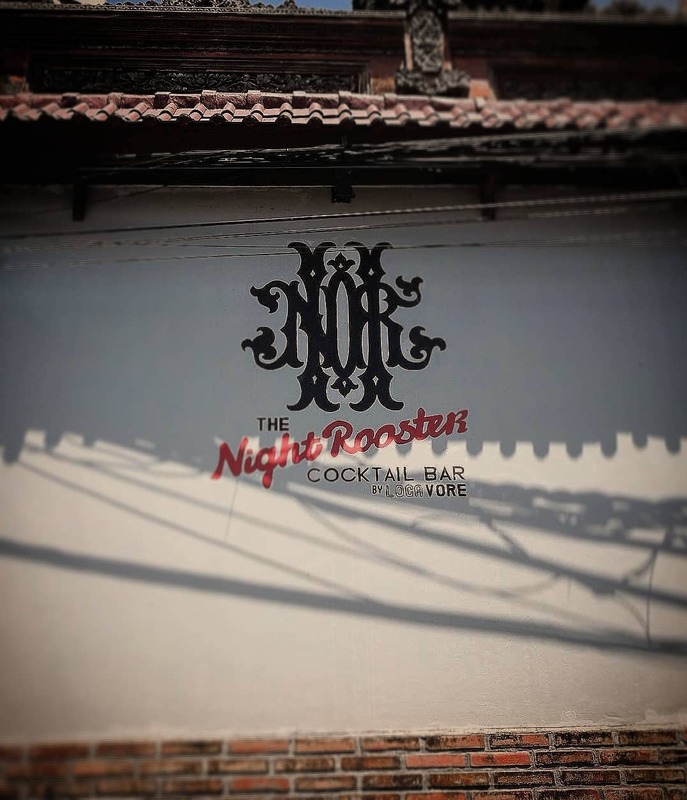 Part of Locavore dining, The Night Rooster is a multi-level bar with views overlooking Jalan Dewi Sita. 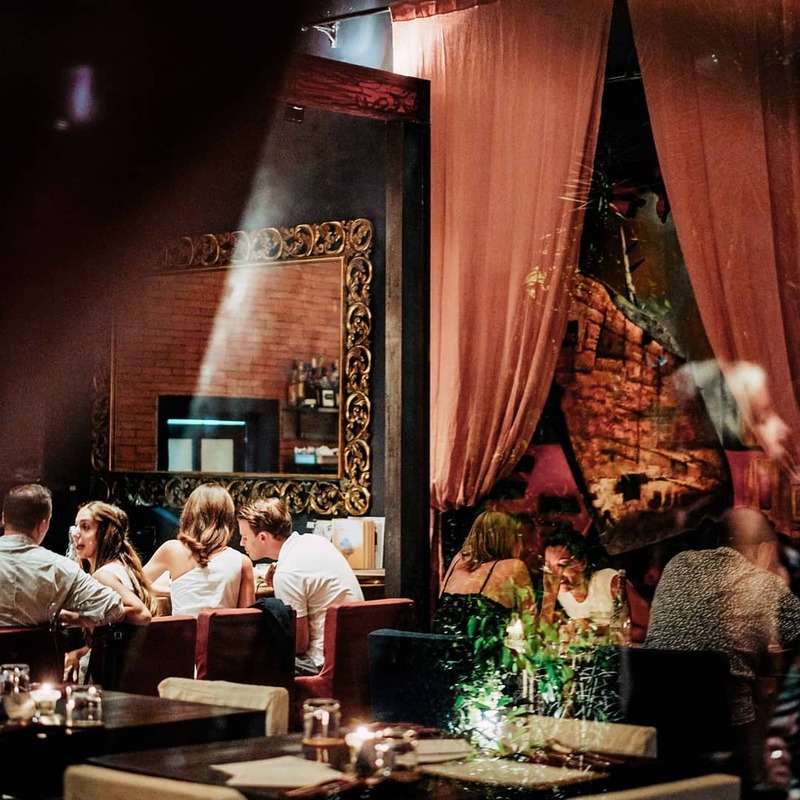 Much like the decadent and intricate meals served at Locavore, The Night Rooster is just as meticulous with their cocktails. 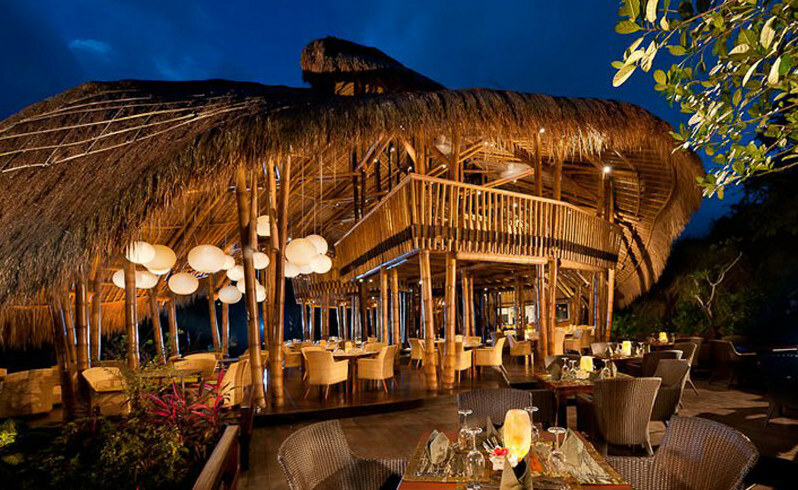 The casual scene features recycled wood décor creating some of the finest cocktails in Bali. 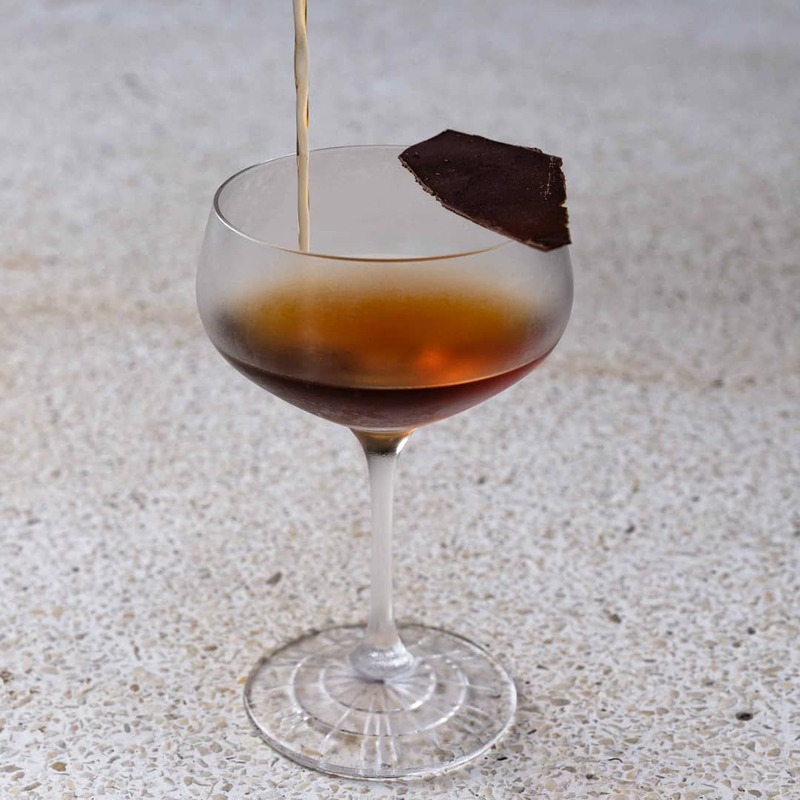 Start your visit with a Nangke Ditebe infused with fresh seasonal jackfruit, spice jackfruit marmalade, home distilled jackfruit spirit and home distilled jeruk kintamani liqueur. 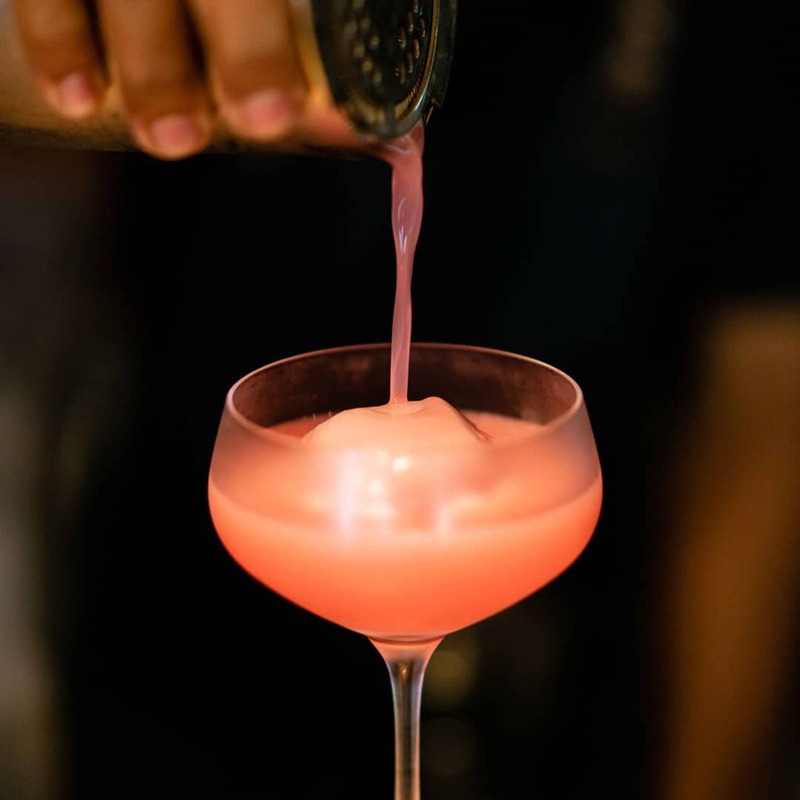 For a quick bite pair the Brandade Fritters or the Meatball Sandwich with Juwuk Kintamani featuring freshly muddled local orange, home distilled jeruk kintamani liquor, home distilled grapes with wild berry foam. 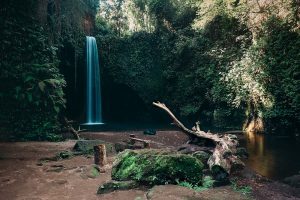 Nestled in between Babakam Canyon and Goa Rang Reng Waterfall, Tibumana Waterfall is one of Bali’s very few hidden waterfalls that isn’t swarmed with tourists. 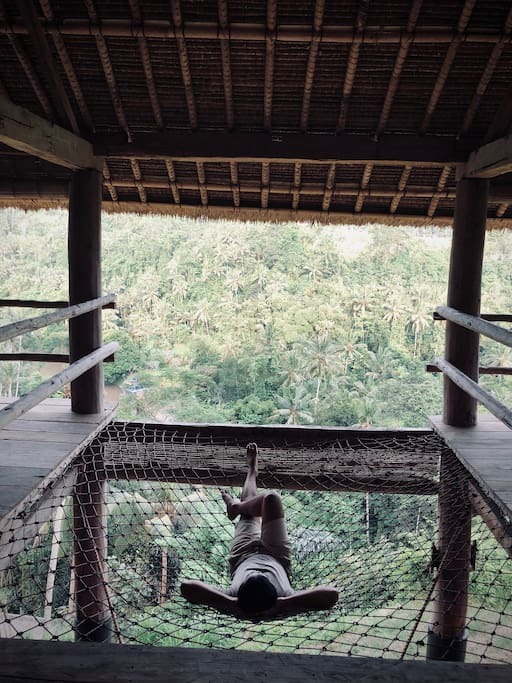 Upon your 30-minute drive from the centre of Ubud to Tibumana, serenity seekers will travel down winding roads surrounded by palm trees and mesmerising rice fields. Tibumana is surrounded by walls of lush greenery that elegantly surround the softly cascading waterfall. Taking approximately a 10-minute walk to get down to the falls itself, visitors will mainly find locals at this hidden spot. Also known as the Obyek Wisata Sangeh, the Monkey Forest is a natural sanctuary hidden deep beneath the towering nutmeg trees. 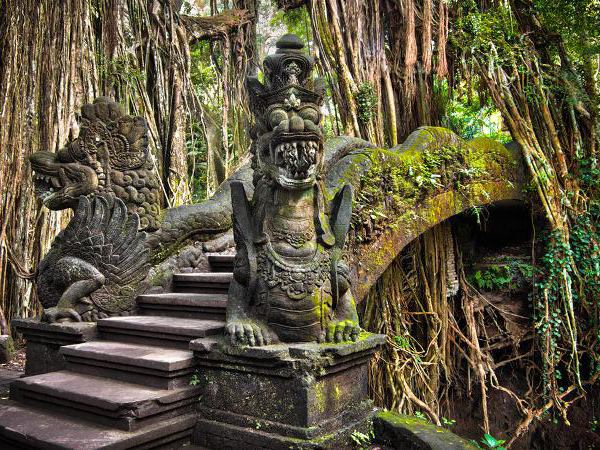 Deep within the streets of Ubud, the Sangeh Monkey Forest is home to the grey long-tailed macaques. Upon entering the sanctuary, visitors will be amazed by the monkeys leaping from the enormous trees. Being a sacred site, the Sangeh Monkey Forest is blessed each day by locals parading with music and food offerings. 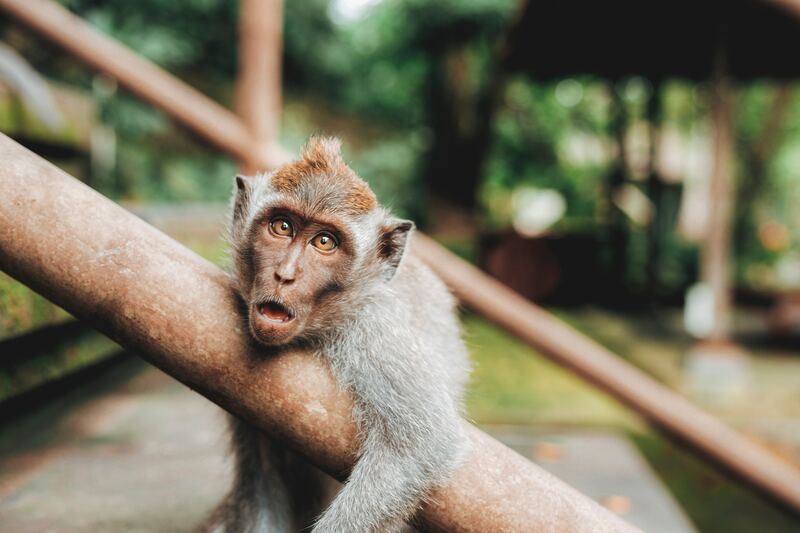 Opt to visit the sanctuary late afternoon for a peaceful stroll along the pathways on the forest floor – you may even be lucky enough to have one of the friendly monkeys jump down to say hello. North of Ubud, Tegallalang Rice Terrace is a field of meticulously kept, layered rice terraces. Visitors will be amazed by the abundance of greenery blossoming in a variety of shades unimaginable to the eye – all towering over a valley of wild shrubs. 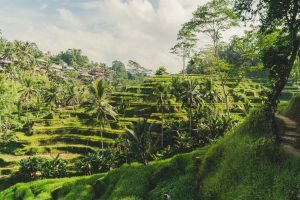 Surprisingly home in the heart of Ubud, surrounded by market stalls, scooters and the outside world – stepping into the Tegallalang Rice Terrace will be similar to stepping into a hidden oasis. As a recommendation, plan your visit to the renowned rice terrace as early as possible, the sunlight at around 7am sits elegantly behind the treetops. If you desire a more fast-paced environment filled with boutiques, restaurant strips, day clubs and swarms of scooters; consider a day trip to Seminyak. 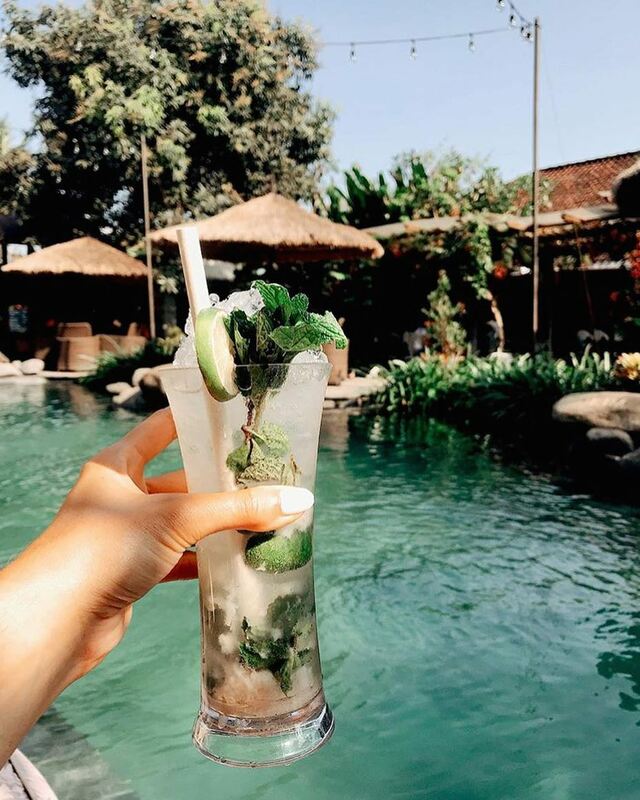 Taking over an hours drive from Ubud, Seminyak is the perfect pit stop on your Balinese getaway. Overlooking Tjampuhan Sacred Hills, the Zen Hideaway Hut is a unique experience in its own right. 20 minutes out from Ubud, the name of the accommodation is a true reflection of what to expect. The two-story, teak wood house features a jaw dropping riverfront as well as a rice field and Mount Agung view. Completely fitted with necessities including wifi, the Zen Hideaway Hut 3 also provides two housekeepers for the duration of your stay. Starting from $317 a night, the Zen Hideaway is an oasis in itself and perfect for travellers wishing to unwind in this secret getaway. 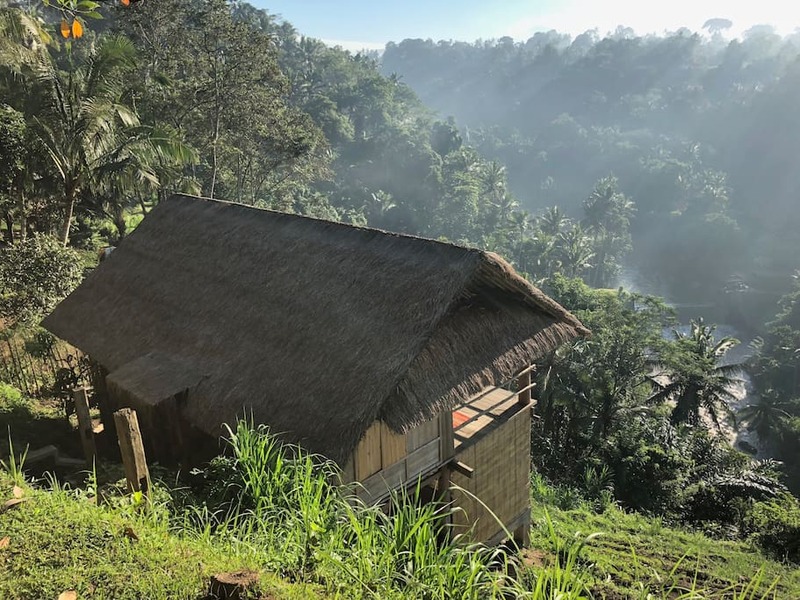 Just a short drive from Tegallalang Rice Terrace, Dedary Kriyamaha Ubud in Kendran Village is an oasis surrounded by panoramic rice terrace views. Perched up above the brim of the valleys edge, each of the villas are a getaway from the outside world. 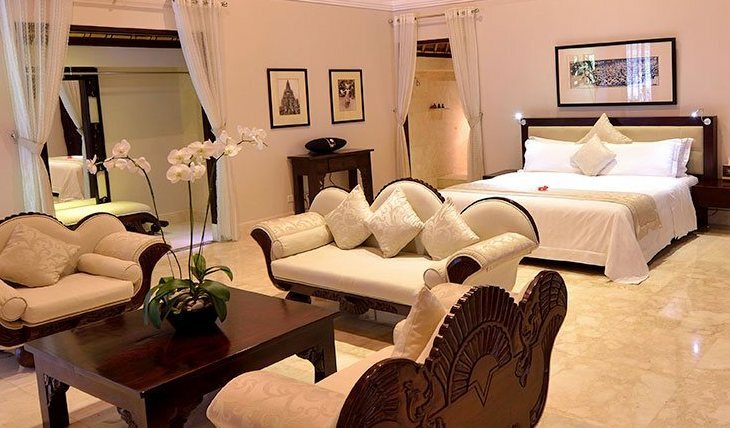 Encapsulating ambience, serenity and luxury into one, Dedary Kriyamaha Ubud is the perfect option for any traveller wishing to stay in central Ubud. Starting at $378 a night, your stay at Dedary will be nothing short of an exotic, spiritual and cultural experience. 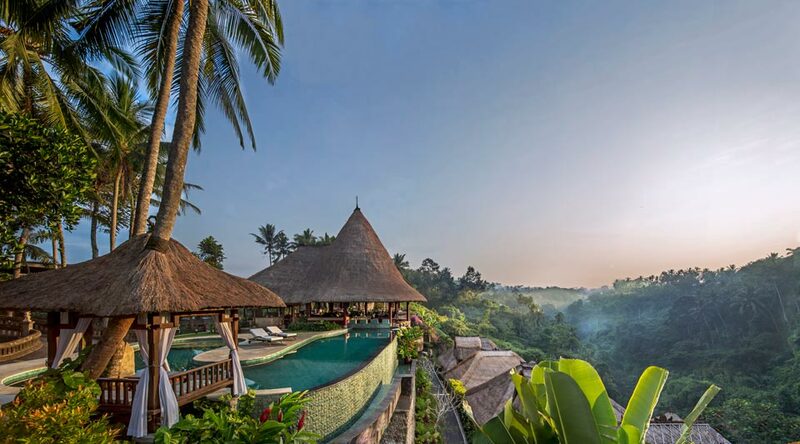 Hanging off a cliffside, Viceroy Bali will certainly be the highlight of your travels in Ubud. The five star, luxury resort features over five villas that are central to the spectacular infinity pool overlooking the dense, lush jungle. 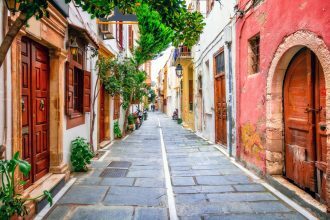 The private villas start from $700 a night and guests are guaranteed a world-class luxury experience in this private haven. Winning 2018’s Best Resort in the World Award from the Traveler Readers’ Choice Awards, Viceroy Bali is perfect for guests wishing to indulge like royalty. Also featuring a restaurant, spa, helicopter pad, gym and boutique – there’ll be no need to leave this incredible destination.